If this were a just world, I would have some form of curry for breakfast this morning. Something fiery to tantalize my tongue and awaken the sleeping creative beast buried deep inside my brain. But, alas, this is an unjust world, a world in which breakfasts attempt to retain their reputations as so boring many people opt to simply skip them, rather than endure the malaise of their mediocrity. Were I alone on the planet, I would craft a curry dish this morning to satisfy my craving. It need not be complex; a simple curried egg salad would do, spiked with sambal oelek to shatter the blandness of a dark and rainy morning. I suspect, though, I’ll end up eating something far less satisfying. Ach, there is no just breakfast in the cards this morning, I fear. And there is nothing to fear but fear itself. It’s just breakfast. You have a wonderful wife. 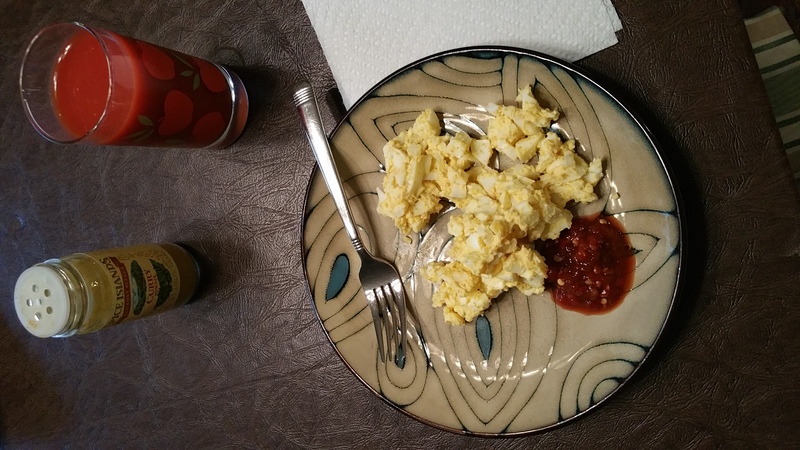 A little hot sauce turns an ordinary egg into something of your liking, maybe?